Yan David Payne secures major victory in Tax Court overturning over $3.8 Million Dollars in taxes, penalties, and interest in favour of taxpayer, plus costs of the proceedings payable by Canada Revenue Agency. See detailed Decision of the Honourable Mr. Justice Pizzitelli: Osinski v. The Queen, 2013 TCC 71. See also 2013 CRA Reassessment crediting $3,834,543.62 in accordance with the Judgement: Osinski Notice of Reassessment 2013. Canada Revenue Agency (represented by the Department of Justice) consents to Tax Court Judgement fully vacating tax re-assessments for tax years 2000, 2001, 2002, 2003, and 2004 based on alleged $1,629,089.00 unreported business income. Matter ultimately resolved without need for formal hearing. See Tax Court Judgement – KK v. HMQ – Aug.12.16. Bulk of Director’s Liability assessment ($328,247.69 at issue) vacated as a result of Canada Revenue Agency (represented by the Department of Justice) consenting to formal Tax Court Judgement. Matter ultimately resolved without need for formal hearing. See Tax Court Judgement – EK v. HMQ – Aug.12.16. Canada Revenue Agency (represented by the Department of Justice) consents to Tax Court Judgement reversing $546,000.00 tax assessment in HST collection dispute. Matter resolved without need for formal hearing. See formal Judgement – February 2016. Yan David Payne obtains unanimous Ontario Court of Appeal decision extending liability of government agents. Ontario Court of Appeal panel accepts Mr. Payne’s arguments and overturns Divisional Court decision. Ontario Court of Appeal expressly recognizes a person’s right to sue enforcement officers for negligence. The Ontario Court of Appeal panel held that “It is in everyone’s interest that by-laws not be enforced in an ‘unconstrained’ manner. See Rausch v. Pickering (City), 2013 ONCA 740. Firm Senior Litigator Yan David Payne obtains Judgement reducing Tax Payer’s reassessed income and penalties by over $500,000.00+ [Judgement – November 19, 2014]. Department of Justice Lawyer representing CRA at appeal consents to Judgement on first day of hearing. GST reassessment also reduced accordingly. D.V. v. Her Majesty The Queen, 2013-1530(IT)G.
Firm Senior Litigator Yan David Payne secures an Appeal Judgement through the Tax Court of Canada after CRA backs down, reducing client’s taxable income by over $120,000.00 and eliminating all penalties. See: Bonnett Judgement – Sep.8.14. Corresponding reduction in payable GST/HST also Ordered. Superior Court Allows $12 Million Lawsuit to proceed despite attempt by client’s former lawyer and former accountants to derail the negligence action related to failed tax scheme. 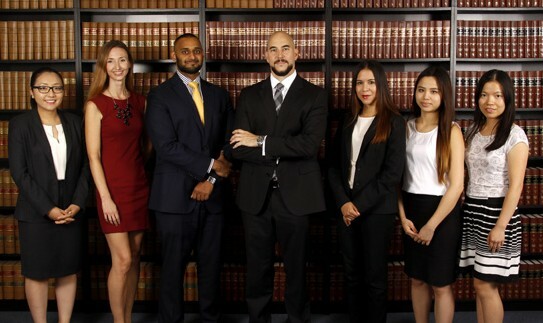 Mr. Yan David Payne and Hashim Syed take over from Bay Street firm and lead charge in 3-day court motion culminating in full victory against senior members of Ontario bar appointed by professional liability insurers. See full decision: Bahl v. Cadesky and Associates and Barry Seltzer, Court Docket Number 04-CV-272445CM2. Firm obtains very rare Remission Order issued by Federal Cabinet/His Excellency the Governor General in Council (Order in Counsel P.C. 2013-40) on behalf of firm client. Remission Order provides for remission of all tax, penalties, and interest for three taxation years at issue. See confirming Letter and Signed Order. See Confirming Letter and Signed Order: CRA Asst Commsr ltr 06mr13w Remission Order 31Ja13. See also Extract from Canada Gazette publishing the Order: Canada Gazette 13f13. Firm lawyer Yan David Payne takes over carriage of court file, successfully appealing and overturning controversial decision dealing with disclosure of personal tax records. Court agrees with firm submissions and arguments, awarding costs against the Respondent. Respondent represented by partner in Bay Street firm and Osgoode Hall Law School professor. Yan David Payne obtains Judgement on behalf of taxpayer reducing assessed income by over $49,000.00 and deletion of all penalties and interest for the 2004 tax year. This following earlier reductions amounting to approximately $130,000.00 in pre-appeal negotiations and leading to a total reductions in assessed income and penalties of over $200,000.00 through audit, objection, and appeal stages. In her cost decision, the Honourable Justice Miller commends Mr. Payne on his preparation and organization. Yet another example of a taxpayer’s ability to successfully challenge CRA’s over-taxation at audit, objection, and tax appeal stages. See the Decision: Chow v. Her Majesty the Queen. Firm secures unprecedented application of the clergy tax deduction (s. 8(1)(c) of the Income Tax Act) in support of client’s tax deductions. Tax lawyer Richard Yasny succeeds in obtaining Judgement at hearing before the Tax Court of Canada against Canada Revenue Agency. Read the Decision: Tidd v. Her Majesty the Queen, 2012 CC 16. Firm successfully obtains return of over $177,000 in seized funds along with apology from Canadian government on behalf of firm client. Yan David Payne obtains Judgement of $264,393.00+ on second day of hearing.